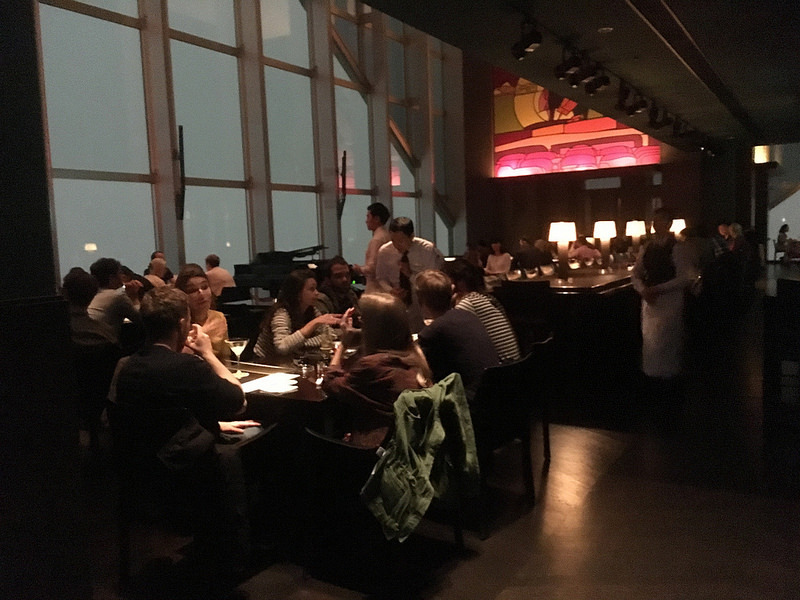 My number one “must do” for Tokyo was visit the Park Hyatt’s New York Bar. It probably seems like an unreasonable request. Sure, I’m a little bougie but it’s not like I made demands to go drink overpriced cocktails at expensive international hotel chains while traveling. But the Tokyo Park Hyatt is different, because that’s where Lost in Translation was filmed. While I did research in staying at the hotel, at $500-$900 USD that was not going to be an option for me. 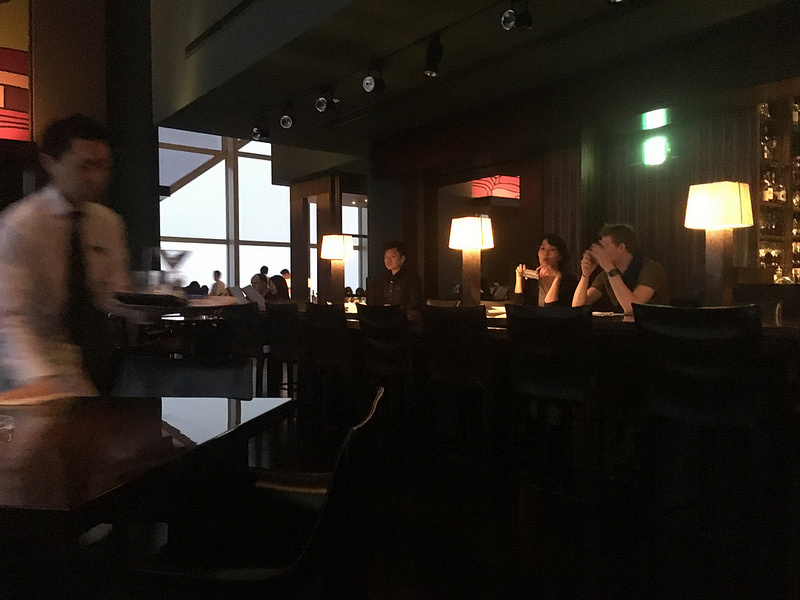 The best I could do was drag my friends into the luxury, high-rise area of Shinjuku and get a round of cocktails at The New York Bar where a lot of scenes from Lost in Translation were filmed. We set out to grab some drinks during happy hour, because after 8pm the bar charges a 20,000 Yen cover ($20 ish) just to be there and listen to their probably crappy jazz singer. Any fan of the movie will know, the jazz singer is the worst and to be avoided. 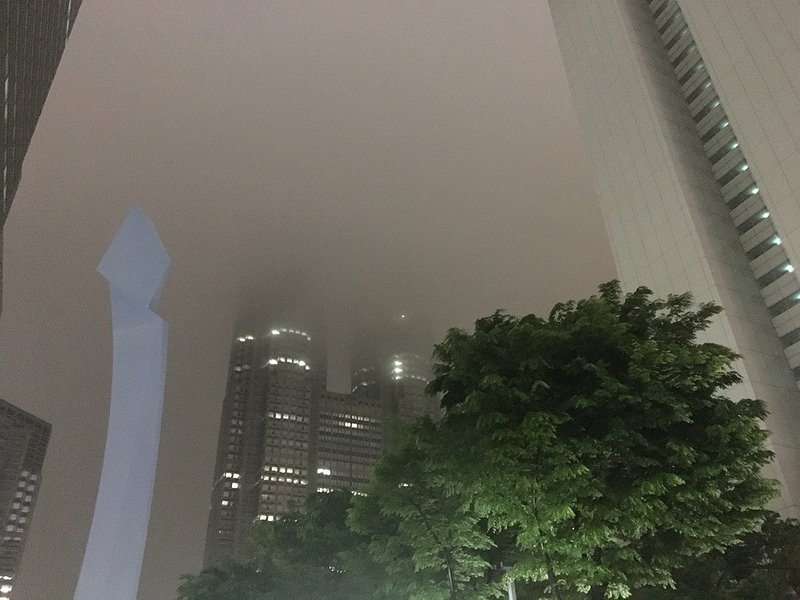 It had been raining all day, so unfortunately the stellar views of downtown Tokyo were obscured by the giant cloud we were surrounded by. 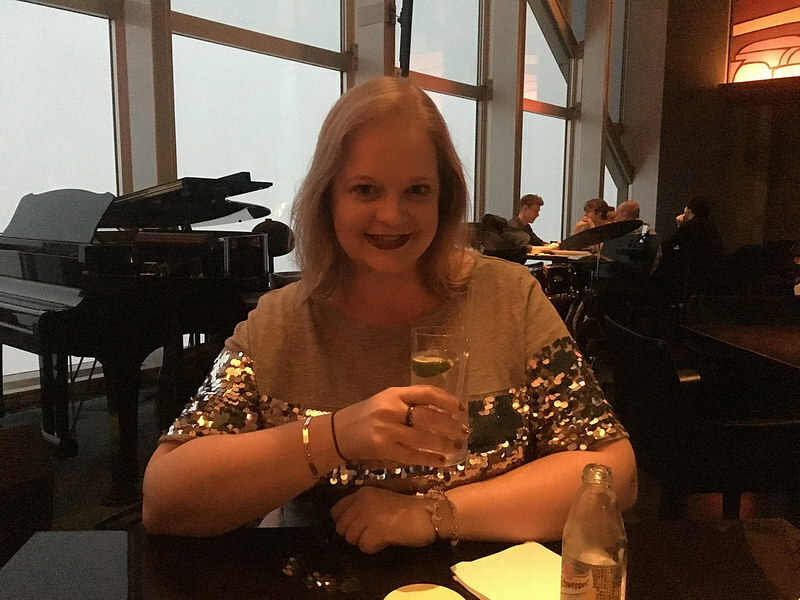 The New York Bar is on the 52nd floor of the building the Tokyo Park Hyatt is in, but you’ll just have to imagine great views because all we could see was fog. As for the bar itself, at first it looked totally different than the movie to me. I think this is because it has these large, red/orange murals of jazz scenes that I believe they covered or somehow obscured in the real film. At first that threw me off, but as I sipped my gin & tonic I could see the scenes in my head. Some details were spot on to the movie. When they brought us our drinks, they also brought a little cup of trail mix. If you’re a nerd like me and remember the movie closely, it’s what Charlotte “sends” to Bob early when she first meets him… which is of course silly because everyone gets complimentary trail mix. Every time I watch Lost in Translation, I feel a little bit alone, confused, lost and somehow comforted that I’m not the only person who feels that way. I guess part of me expected to travel around Tokyo in the same mood as Charlotte, which wasn’t true for me. Instead of wistfully staring out the window at the bar, jetlagged and tired and frustrated with my life, I laughed with my friends and smiled the entire time. I’d be lying if I said that I didn’t feel lost or confused, whether in Tokyo or Austin or wherever I am. But I realized that I try to go through these experiences laughing and thinking as much as I can, which turns out — is a lot. I still have my favorite movie and I loved getting to see the location, but I also realized that I have my own, very different, story to tell. You look beautiful! Tres chic! Love the top. You look right at home in the New York Bar. I’ve never seen Lost in Translation, but I did go to the bar in The Stanley Hotel, which was beautiful, eerie and cool, modeled after the bar in The Shining. 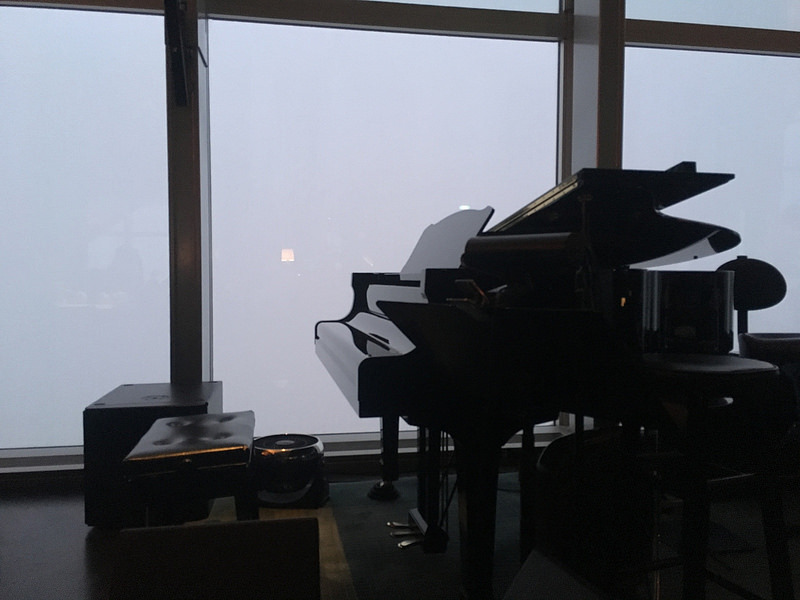 I think the view outside with the fog is actually really cool!